Growing up in Puerto Rico in the 1950s and 1960's, you could not avoid to notice the important role the sugar industry played on the local economy at the time. The trucks and trains transporting sugarcane and the burning of the fields at night during harvesting season were constant evidence of what we thought as kids was a vibrant industry. Little did we know then, it was a dying industry. The purpose of these pages is not to tell the history of the sugar industry in Puerto Rico but to document in pictures taken during 2014 the remains of sugar mills or "centrales" that operated at one time or another on the island with a brief description of each. Each sugar mill of which we could identifyy and photograph remains has a page containing pictures of the remains, a brief write up and a link to a chart with its annual production, where available. The location of the remains can be identified on this Google Map . Because water was a valued commodity for irrigation of the sugar fields and in the production process, on this map you can see that the vast majority of the sugar mills were established near a river on the coastal area where flat lands are more suitable for growing sugarcane than the central mountain region. Sugar was not always Puerto Rico's main agricultural product. In 1881, export value of coffee was 54.5 % of total agricultural export value while sugar accounted for only 28.9%. By 1935 the trend had shifted dramatically with sugar accounting for 60%, coffee 3% and tobacco, which industry has since practically disappeared, 9%. However, during most of the 19th and 20th Centuries, sugar was the sole agricultural industry that most contributed to the economy of Puerto Rico. The sugar industry existed in Puerto Rico dating back to the early 16th Century. In the 1800s, sugar was grown by "hacendados" who owned large amounts of land or "haciendas" used to grow sugarcane. Some haciendas became "Ingenios" by processing their own sugarcane and producing muscovado sugar and molasses in an onsite factory that consisted of a "trapiche" or mill powered by slaves, horses, oxen (often called blood driven mills), wind or running water. It was not until the 1820's that wind driven mills and until the 1830's that steam powered mills were first introduced on the island to replace blood driven mills. The era of the sugar industry prior to the establishment of the central sugar mill conept in 1873 is more extensively documented in the PR Trapiches pages. In 1870 Puerto Rico was reportedly the second largest sugar producer in the Western Hemisphere after Cuba. While Cuba is 12.5 times the size of Puerto Rico, in the period between 1848-1852, Cuba produced just 6 times as much sugar. However, in the early 1900s, US companies had a controlling interest in the sugar industry in Cuba and in 1924 the 17 sugar mills controlled by the National Sugar Refining Company alone, produced 452,550 tons of sugar, more than the 447,972 tons produced by all the 37 sugar mills in Puerto Rico. Beginning in 1873 and soon after becoming a US Territory in 1898 as a result of the Spanish American War , some ingenios grew in capacity due to modernization and/or consolidation and became centrales or sugar mills . Humberto Garcia Muñiz in his book Sugar and Power in the Caribbean: the South Porto Rico Sugar Company in Puerto Rico and the Dominican Republic states on table 1.4 that between 1873 and 1898 27 central sugar mills were built on the island including Vieques, none were built between 1898 and 1900 due to the change in sovereignty and between 1900 and 1920 a total 40 sugar mills were built. Between 1911 and 1952 the general trend of total sugar production in Puerto Rico had a markedly upward trend as can be seen from this Total Sugar Production Graph, thereafter, a precipitous decline marked the end of the industry. Based on this US Owned Mills vs. Total Production Graph created using production information available , and contrary to popular belief, except for 7 years (1926-1930 and 1934-1935) due mainly to the acquisition by the United Puerto Rican Sugar Co. of 5 previously locally owned mills, production of locally owned sugar mills always exceeded that of the US owned mills. Granted, the number of locally owned sugar mills was three or four times larger than the US owned. Another misconception regarding the US owned mills is that they controlled too much land on the island. In his book American Sugar Kingdom , César J. Ayala states that 56% of the sugarcane grown in Puerto Rico and processed at Guanica Centrale was grown by colonos. He also states that The United Puerto Rican Sugar Co. owned 30,967 acres, Fajardo Sugar Co. 29,240, Aguirre Sugar Co. 24,234 and the South Porto Rico Sugar Co. 21,275. In addition to their own lands, they leased 56,000 acres resulting in control of approximately 161,700 acres or 24% of the cropland in cane farms. This, despite the fact that colono farms produced 29 tons of sugar per acre in 1931-32 while company farms averaged 37 tons per acre. The majority of workers in the sugar industry were hired by local employers, not by US Corporations. The substantial number of colonos that cultivated sugarcane for the sugar factories employed a large number of wage workers. The locally owned mills, which as previously stated were more in number and in average ground more than half of the sugarcane on the island, ground mostly sugarcane cultivated on leased lands or grown by colonos. Ayala concludes that despite the large concentration of land in the hands of the big four (Aguirre, Fajardo, United Puerto Rican Sugar Co. and Guanica), approximately 75% of the agricultural proletariat in the cane industry was hired by native employers. The contribution of the sugar industry to the development of the Puerto Rican economy in the early years of the 20th Century cannot be overlooked. The September 2, 1916 edition of Facts About Sugar states that the Porto Rico Progress today printed the following advance survey of the island's external commerce for the fiscal year ended June 30 last, which strikingly illustrates the value of the sugar industry to porto rico and the imporant part it has played in the present record properity that has accrued to the people of the island and its industries during this period... Puerto Rico's external trade reached a total of $105,682,739, the greatest in the history of the island. This is a gain of approximately $23,000,000 over the previous year and exceeds the former banner year of 1912, when exports and imports were valued at more than $93,000,000 by approximately $12,000,000. High sugar prices, averaging more than $108 per ordinary ton for the year, as compared with an average price of $92.64 for the previous year... were largely responsible for the big increase in trade." The sugar industry was a wealth creator, as an example, Fajardo's earnings before taxes for the year ended 7/31/1920 was $5,456,918 or $94.73 per share on sales of $12,425,333. According to the book Economic History of Puerto Rico - Institutional Change and Capitalist Development by James L. Dietz, in 1920 Aguirre paid a dividend equal to 115% of equity. 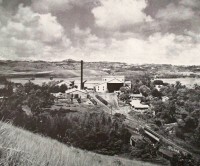 From 1923 to 1930, the return on capital of the mills owned by Aguirre , Guanica , Fajardo and the United Porto Rican Sugar Corp. ( Santa Juana , Cayey , Defensa, Pasto Viejo and Juncos ) averaged 22.5% per year. From 1920 to 1935 Aguirre , Guanica and Fajardo distributed $60 million in dividends to their shareholders while accumulating a surplus of $20 million. This all changed when in 1942 the Government of Puerto Rico declared the sugar mills a public utility even though there were over 40 producers at the time, none of which had a monopoly. This move gave the Public Service Commission authority to limit their returns in an ill based effort to prevent capital leaving the island. It was also a source of employment for approximately 111,000 people according to the 1935 census; 95,000 farm and 16,000 production workers including engineers, chemists, accountants, bookkeepers and foremen. In 1952 the sugar industry's payroll accounted for 23% of total Puerto Rican wages. Economic activity from related businesses such as transportation, hardware stores, foundries, and fuel suppliers to name a few, was also an important contribution of the sugar industry to the overall economy. It also provided for the only source of income of many independent land owners or "colonos" whose sole activity was growing sugarcane to sell to the mills. Puerto Rico has throughout the years been identified as one of the major rum producers in the world. Rums of Puerto Rico is a source of income not only to the distillery but to the Puerto Rican Government as well. Based on Section 7652 of the Internal Revenue Code, most of the Federal Excise Tax on all rum imported to the US from Puerto Rico is returned to the Puerto Rican Government. According to the 10/27/11 report by the Congressional Research Service titled The Rum Excise Tax Cover-Over: Legislative History and Current Issues , the Puerto Rican Government received over $431.7 million in FY 2009 from this source. The begining of the demise of the Puerto Rican sugar industry can be traced to 1935 and the establishement of the Puerto Rico Reconstruction Administration (PRRA) under President Franklin D. Roosevelt's New Deal. The PRRA was headed by Ernest Gruening and was modeled after the "Plan Chardón" designed in 1933-34 by Carlos Eugenio Chardón Placios , Senator Luis Muñoz Marín and Governor Rexgord Guy Tugwell to revitalize the island's economy. The plan, which never went into effect as such, specifically called for a reorganization of the island's sugar industry by redistributing arable lands from major landowners to small farmers and the disintegration of large sugar corporations into semi-public institutions. Although successsful in other areas like rural electrification, the PRRA and its Plan Chardón encountered major opposition, ran out of money and in the end was not successful in restructuring the sugar industry. In a 1938 series of articles titled "The Ruin of the Sugar Industry" in the El Mundo newspaper, Atty. Cayetano Coll y Cuchi, one of the founders of the Puerto Rico Liberal Party in 1932 and my 1st cousin 2x removed, argued that if the 500 acre land ownership limitation contained in the Foraker Act was implemented by virtue of the 1938 PR Supreme Court decision in People of Puerto Rico v. Rubert Hermanos, Inc., et al. the sugar industry would be destroyed and will dissapear. He also wrote that it was statistically proven that the Puerto Rican sugar industry as then established did not constitute a monopoly of arable lands nor a land grabbing of the best farms but an industry that using 10% of the island's area, achieved productivity representing 80% of the island's gross national product. 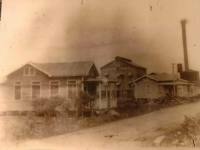 Coll y Cuchi also stated that the sugar industry had been the major contributor to the island's progress and that of its workers, whose wages tripled between 1912 and 1938. The government decision to implement the 500 acre law that limited corporations to ownership of 500 "cuerdas" (1 cuerda=0.97 acre), which provision was overlooked and never enforced, was indeed the last nail in the coffin of the sugar industry. In 1937 the government decided to enforce the law and after a series of legislative maneuvers filed PEOPLE OF PUERTO RICO v. RUBERT HERMANOS, Inc., et al. owners of Central San Vicente , which action negatively affected the operations of the larger US as well as locally owned sugar mills by limiting their quality control in the fields. The Puerto Rico Land Authority created in 1941 to "acquire and preserve land with high agricultural value and facilitate the use of these lands for the benefit of the people of Puerto Rico", was really created to acquire the excess land over 500 acres owned by the sugar mills, the majority of which has not been cultivated at all since. In 1974 the Corporación Azucarera de Puerto Rico or Sugar Corporation of Puerto Rico was created to "save" the sugar industry. In its efforts, the Sugar Corporation acquired most of the sugar mills and sold their machinery and equipment in Latin America while continuing to run a few. But, as is the case with basically all government run institutions, the government run sugar mills were unsuccessful and eventually also shut down. Notwithstanding the importance of the sugar industry in the island's economy, it was allowed to die. It is inconceivable to understand how the sugar industry was allowed to completely disappear when today, sugar needed for local consumption and molasses, which fermentation is needed in the production of alcohol for rum production and at one time both local products, now have to be imported. There are many opinions and reasons for the demise of this one time king, some of which carry more weight than others. In my opinion, the study titled What Ever Happened to the Puerto Rican Sugar Manufacturing Industry? published in 2012 by a research group of the Federal Reserve Bank of Minneapolis best explains the reasons for the industry demise. The study shows that it was not necessarily the poor performance of the Puerto Rican economy that caused the industry to fail, but local government policies.